I can’t do it all. I admit it! Therefore, I LOVE, I mean, really LOVE a great guest blogger!!! And today is no exception! The extremely smart computer guru, Jason Gross from PC Made EZ stopped by The Savvy Socialista blog to be a guest blogger and give you guys a GREAT tutorial on Square. For any of you that want to accept credit cards but don’t want to deal with all the hassles….this is just for you! When Jason shared with me all the info on Square I immediately thought about all the vendors at hand-made markets, vendor fairs & craft fairs so I asked him if he would share with you all about this amazing little device! Chat back and let me know if this helps you out at all! And do me a favor–would you mind stopping by Jason’s Facebook Page and giving him a little “hey, how ya doin?” , I’d greatly appreciate it and I know he would to! Do you want to be able to accept credit card payments for your products or services while out at events or a client’s home or business? Would you like to not have to carry around bulky equipment and paperwork to do so? Do you not want to be nickel and dimed to death with transactions fees, monthly fees, annual contracts or penalties for taking payments from “rewards” cards? Do you want the money sent to your business account quickly? Well…you can. A company started by one of the co-founders of Twitter called Square provides you with all of the previously mentioned abilities and more. As long as you have an iPhone, Android phone or iPad you can accept credit card payments (Visa, Amex, MasterCard or Discover) through your device anywhere you go; be it a trade show, event booth or a client’s business or home. Square does not require much from you either. You sign no contracts, you pay no monthly fees, you pay no annual fees, you won’t even pay a fee for accepting a payment using one of the many “rewards” cards which many people use. 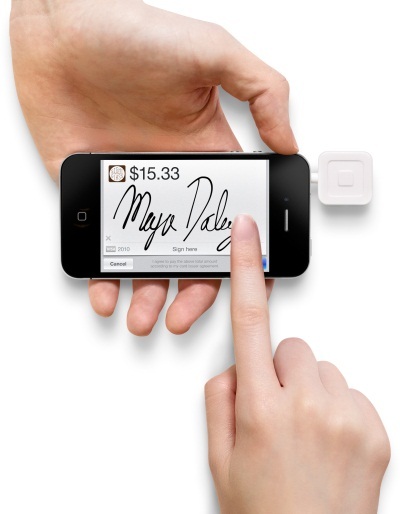 You simply pay a very nominal fee of 2.75% of each transaction to Square and that is it. Talk about ease of use and flexibility! So, you are probably wondering how to get setup with this. Well you simply go to Square’s website ( www.squareup.com ) sign up for their service with your business and bank info and they send you a free card reader which plugs into the auxiliary port on your mobile device. Square will make two small deposits into your account to verify it and then you will be approved to accept payments. It is that easy…seriously. We have been accepting customer payments for nearly a year now using Square and not only have we not had any problems; each and every transaction has gone through and the funds have been debited into our business account within 3 business days; every single time. Once you have the card reader and the account setup you simply download the app to your iPhone or Android, login and you are ready to accept payments. 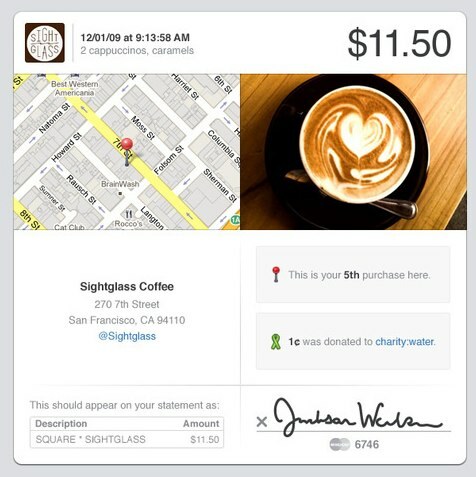 You can even send your customer email receipts directly from the Square app and even customize your account to include your logo in customer receipts. Trust me, if you own a small business and have a need for mobile credit card payment processing you need to do yourself a favor and get Square! Since I have been using Square since they started they gave me 40 of them to hand out to fellow business owners. Check out the images below to see how Square works. If you have any questions please feel free to contact me at any time. Happy Computing! that sounds great! this will be perfect for the all the boutiques without a centralized check out! i want one for sure! Kelsey, I assume you are the owner of KJ’s Funshine? If so, then I replied to your comment on FB. Feel free to contact myself or Jami and one of us can get you a Square. Thanks for reading the blog! Dana, I replied to your comment on FB. Feel free to contact me or Jami to get a Square. Have a good one! I would love one! This will help increase sales at events! Thanks for informing us. Carie, I believe I replied to your comment on FB. Either way, you can contact myself or Jami and we can get you a Square. Hope all is well! This is awesome!! I am seriously going to look into this! This would be PERFECT option for my catering company!! Thanks Jami and Jason! Great info! Glad you liked the blog Davida! I’m sure Jami or myself can get you a card reader. Feel free to hop on over to our FB page http://www.facebook.com/pcmadeez and add us. Have a great weekend! This would be perfect for our business! I want one! Thanks Jason for the info on this. I “Liked” your fb page. Wow, this is amazing. This would totaly help our business! It would make my husbands job so much faster! Jessica, I’d be happy to get you a Square card reader. Either contact me via our Facebook page http://www.facebook.com/pcmadeez or shoot me an email to jgrosso@pcmadeez.com . Thx for reading the blog! I would love one of these for my business, and would be super excited to get one of the 40 you are offering! Amazing! I love the email receipt feature and that the customer can sign the screen. What an incredible idea. And 2.75% is very reasonable considering you would pay very similar fees to the major credit card bureaus even while carrying around bulky machines and having to have connections, etc. LOVE IT. Headed to facebook to like you over there too. Thanks Jason and Thanks Jami!! Thanks for friending us on FB Jill. I just replied to your email and will see about getting you a Square this week. I hope this will help your business thrive! This is such a great idea! Would love to get my hands on one – it will really increase sales at craft shows! Cheryl, I’d be happy to get you a Square. Simply shoot me an email to jgrosso@pcmadeez.com with your info, including address . Also feel free to add us on FB at http://www.facebook.com/pcmadeez . Loved your article…I have been struggling with Credit Card companies with expensive to lease equipment, monthly fees, wireless fees, and all kinds of charges you never expected! All that in addition to 2.5% of each transaction…so it would definitely be less expensive and way simpler. I have a small jewelry business, I do art shows and make all my own jewelry. So those big expenses are difficult to deal with! 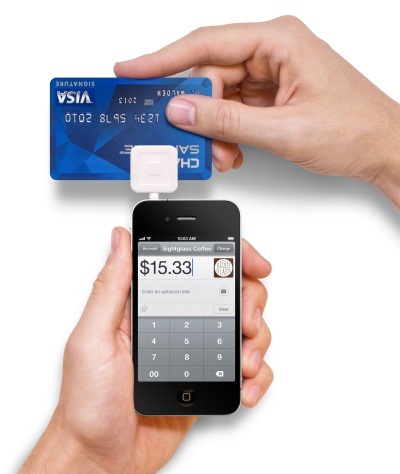 I’d love to have one of these Square card readers…and I’ll ditch the other company I’ve been using! I’d be happy to get you a card reader. Feel free to contact me via our Facebook page at http://www.facebook.com/pcmadeez or via my email jgrosso@pcmadeez.com. Thanks for reading and glad you liked the article. Hi! Is this something that can be used in Canada as well? What a great idea! PS…I can’t seem to find your page on FB, the link doesn’t work for me. I believe it can be used in Canada however I’ll have to look into it. In regard to Facebook, which page are you unable to get to? The Savvy Socialista one or our PC Made EZ one? I LOVE this idea! I knew there had to be something out there like this! Thanks for showing us just how easy it is! Oh, I forgot to say I want one! oh. my. goodness!! LOVE this, jami! thank you SO much for sharing! totally NEED one!! !